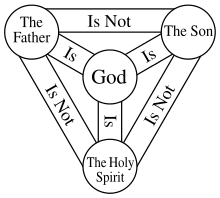 Last Sunday was Trinity Sunday. Who is this God who comes to us as a Teacher? Why is there a prevalence of evil in this world? Then why does our Designer allow hate to be hurled? Does there have to be a Benevolent Creator? Where is the Creator, the Good and Evil Separator? Our starting point limits us to only what is rational. What about the place FAITH plays in our belief? Faith is belief in the unobservable; Sometimes it’s irrational. From the quiet inspiration of the TRUTH Christ revealed. Through the Holy Spirit, the Teacher, through whom lives are healed. Quietly, the Holy Spirit opens us up to the Good News. Boldly we affirm our faith in a Loving Father. How can we see the love in a hurting world of sin? Be the Love; Live the Faith. Dwell on hate? Nope, why bother?! OK, OK, I don’t know why I was dredging up that old stuff. Sorry, God! Totally unproductive, I know. OK, what does “Mornings with Jesus” have to say today? The scripture for today is Philippians 3:13-14, “I do not consider myself yet to have taken hold of it…” I paused. Taken hold of what? Paul is being pretty vague here, Lord. What should he have taken hold of? Read on, Jan! OK, OK… “But one thing I do: forgetting what is behind and straining toward what is ahead, I press on toward the goal…” Just a minute, Lord. What goal? I can understand the bit about forgetting what is behind. I can see the wisdom in understanding that we can’t change one single thing about the past and so it is pointless to dwell on it. But, how do I strain toward the goal if I am not sure what the goal is? “Beeeee paaaayshunt! !” God urged. Read on! Now I get it! “It” is the goal to win the prize for which God has called me heavenward. Heaven is the prize. And, the best news of all… Heaven is right here! Right here where I live. Right there where you live! Jesus taught us to pray, “Thy Will be done on earth as it is in heaven.” Here – on earth – where His Will is done, – here is Heaven on Earth! Lord, as I love in gratitude for this place where I live and for its people, help me strive (yes, even strain) to make “IT” a more heavenly place. Let the peace of Christ rule in my heart – and let thankfulness for today and bright hope for tomorrow radiate from my life through YOU. In Christ’s Name I pray, Amen!